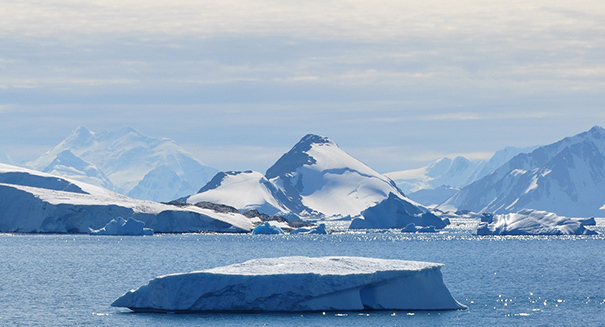 Atmospheric CO2 has reached a critical threshold in Antarctica. Carbon dioxide levels haven’t been this high in nearly four million years. According to a report from CS Monitor, scientists with the National Oceanic and Atmospheric Administration have found that atmospheric CO2 levels have surpassed the dreaded 400 parts per million threshold. There have been reports of other regions around the world reaching this level, but the recent reading in Antarctica marks a milestone for the continent. This is the first time in recorded history that CO2 levels have surpassed 400 ppm in Antarctica, a level past which scientists warn it will be virtually impossible to bring back down. Climate scientists warn that passing the 400 ppm threshold would result in irreparable damage to the environment. CO2 acts as a greenhouse gas, trapping the sun’s radiation close to the surface of the Earth and pushing average temperatures ever higher. It is no secret that atmospheric CO2 levels are on the rise, and many climate scientists are alarmed. The report that CO2 has surpassed 400 ppm in Antarctica is particularly alarming, as there is no longer any question that mankind’s effect on the climate is widespread and potentially damaging. A press release from the NOAA describing the details of the study can be found here.